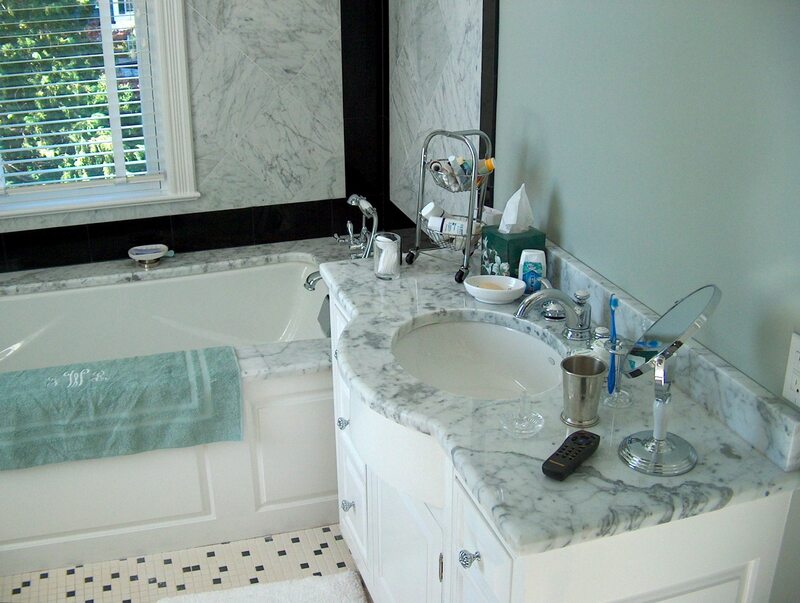 In the process of an entire home renovation in the interior and exterior. We built the chippendale railings out of mahogany and installed them. Built a pool house. The pool house is set into a hillside, with its construction being reinforced concrete, steel, and wood framing. It has been faced with brick. 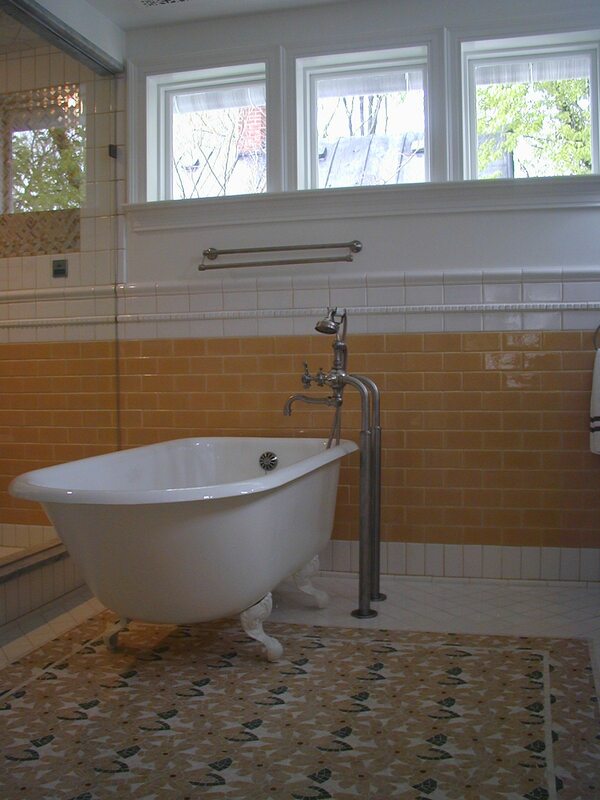 It is traditional in design, by David Ganse, a local architect. He uses very old school construction methods, which agree with our sensibilities. 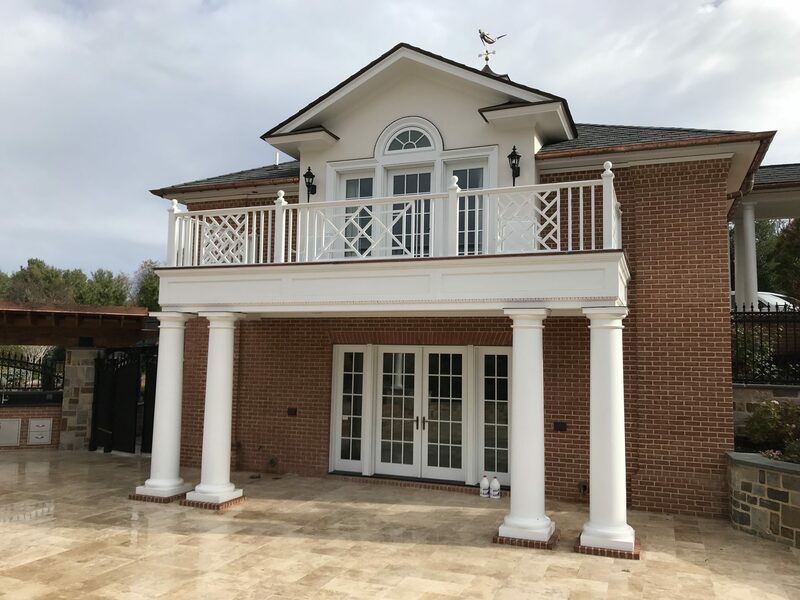 Built a breezeway, patios and retaining walls for a private home The walls are all reinforced concrete, with 8” stone shelves, and faced with solid stone. 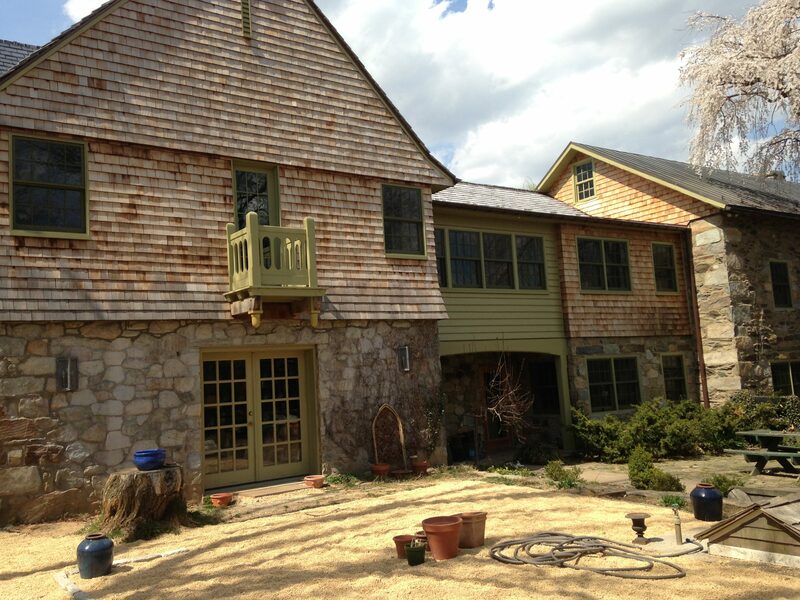 New Shingle Style Addition on an 18th century barn turned into a house. many complex and interesting details. 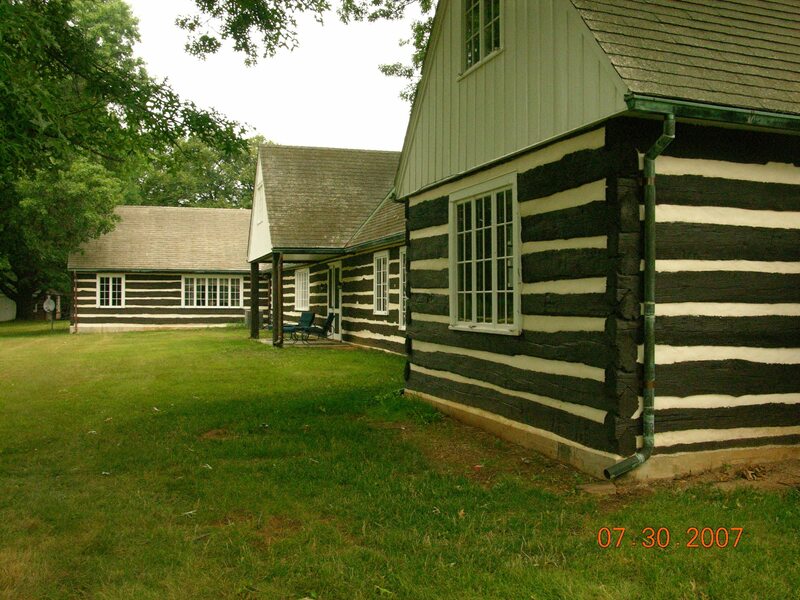 Preserved an early log cabin by raising it, and re-building its stone foundation. We used lime mortar for all of the daubing replacement, after repairing the log rot. Kitchen renovation in this beautiful Federal house. The kitchen was a complete renovation, replace our traditional cabinetry, with inset doors and drawers, topped with Carrera marble counters. 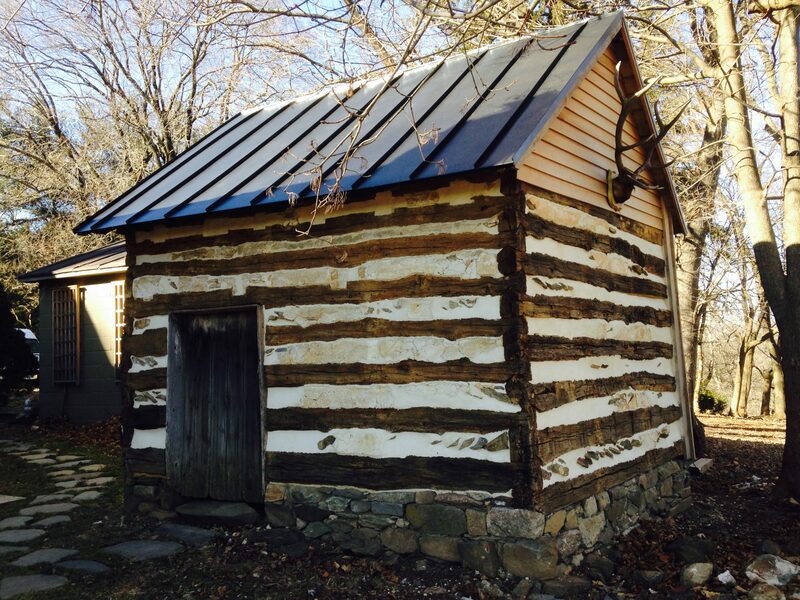 Restored the exterior of a log cabin. 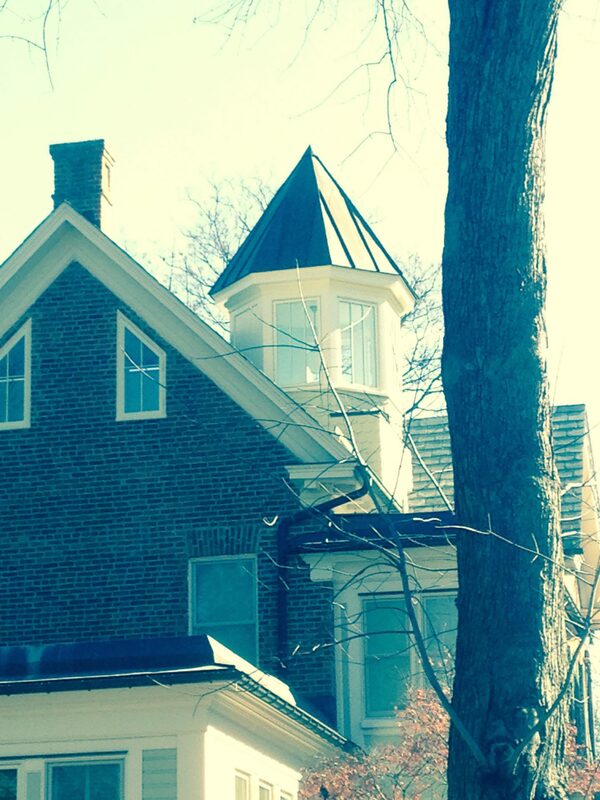 This job consisted of an ongoing project on ‘The Old Mansion’, located in Bowling Green. Dendrochronology was performed by an English company, and the date of the house was determined to be 1740. 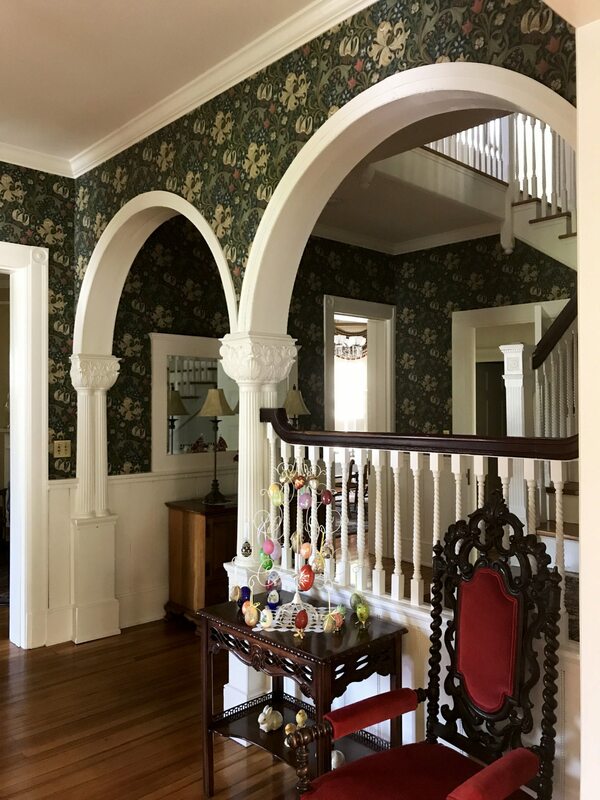 It is a fascinating house in that much of its original details have been retained. Installation of Allied storm windows. 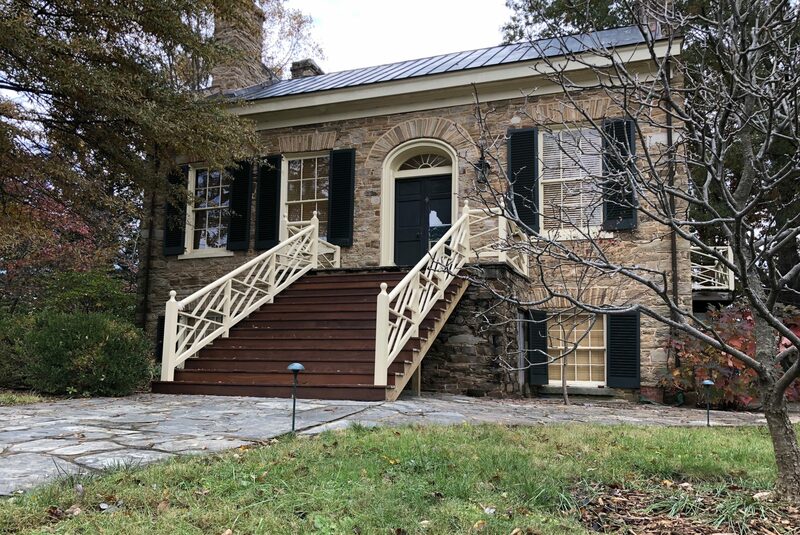 1800s stone house renovation with late 1700s log cabin restoration. 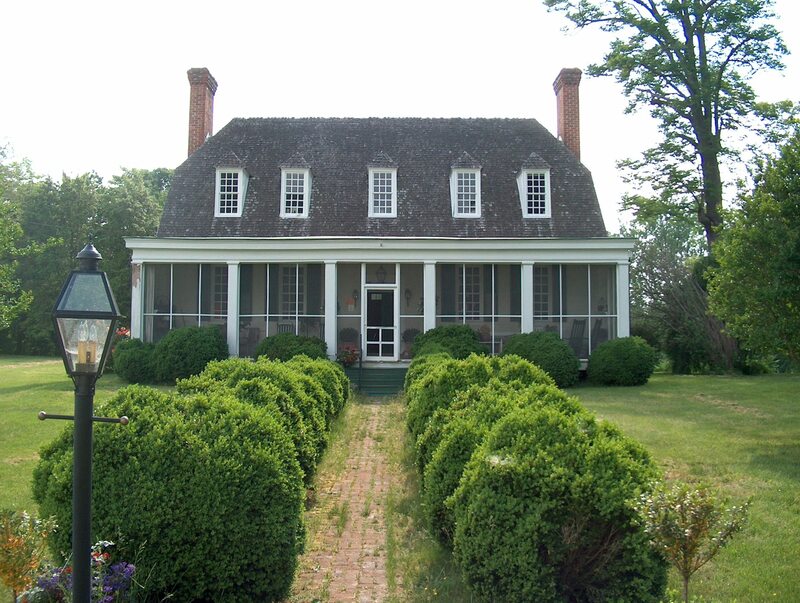 The job goal was to preserve the house, and restore its features back to the period of construction. New roof, and re-pointing of all stonework to match the original. 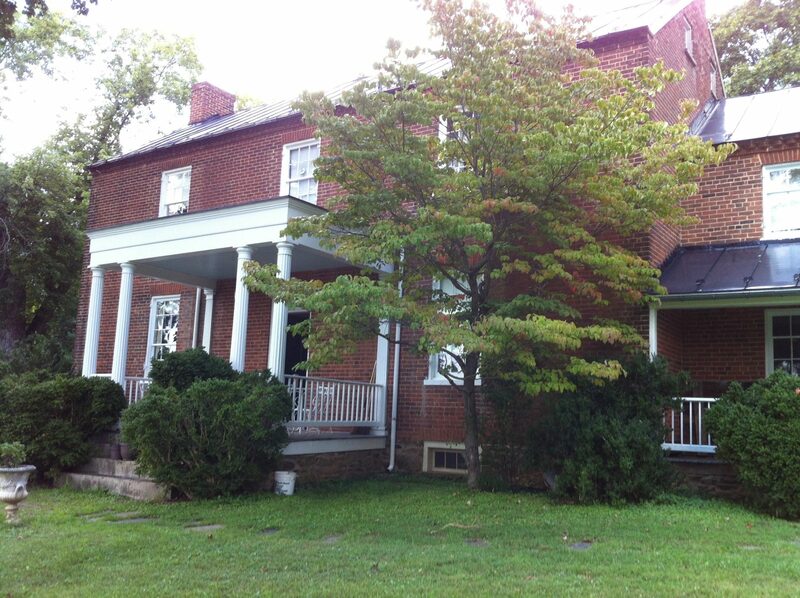 Complete renovation and restoration, under the tax credit program, to a 6,000 square foot historic brick home. Added an addition to match the existing architecture. I was hired as a consultant to write a restoration plan for the home. 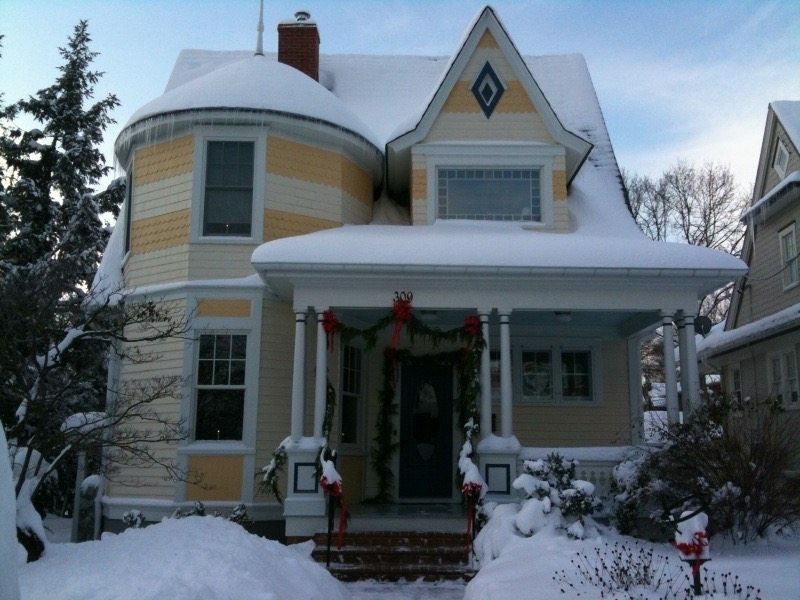 The house is a beautiful Mansford Victorian home, about 6,000 square feet in size. the mechanical systems need to be brought up to date and there is extensive structural work that needs to be done to the lower story. We performed morter analysis, and found that much of the recent repointing of the old brick foundation was done with Portland cement causing negative side affects. Updated the very old mechanical systems. Designed and renovated mudroom, laundry, and eating area. We changed the location and setup of the room, and filled the space with oak and distressed finish cabinetry that we built. Built a replica of the front door portico over the side door. Whole house renovation. 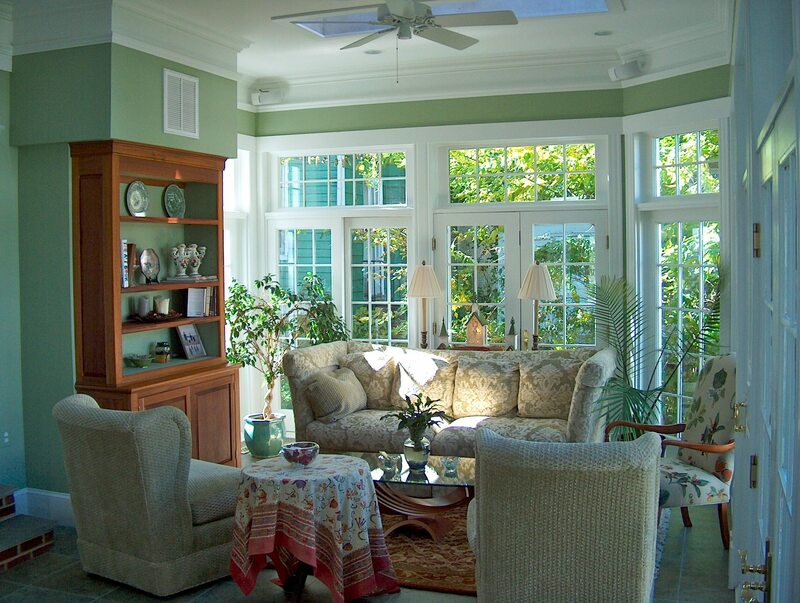 The job included a complete gut of the existing frame Victorian house, upgrading all systems, and adding an addition. Renovated 3 bathrooms and 1 laundry room. 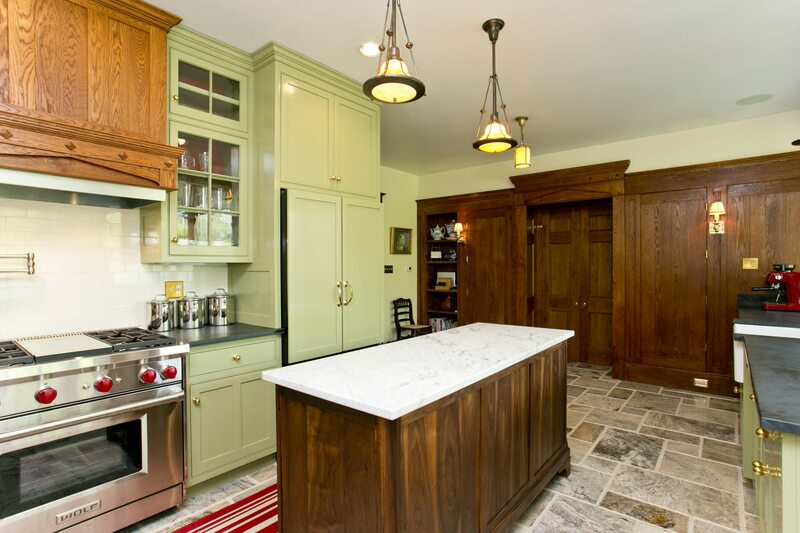 Designed and executed a kitchen in a 1930s arts and crafts home, returning the details of the kitchen area that were lost in a prior renovation. Complete replacement of the cabinetry in the existing space using custom pecky hickory cabinetry. 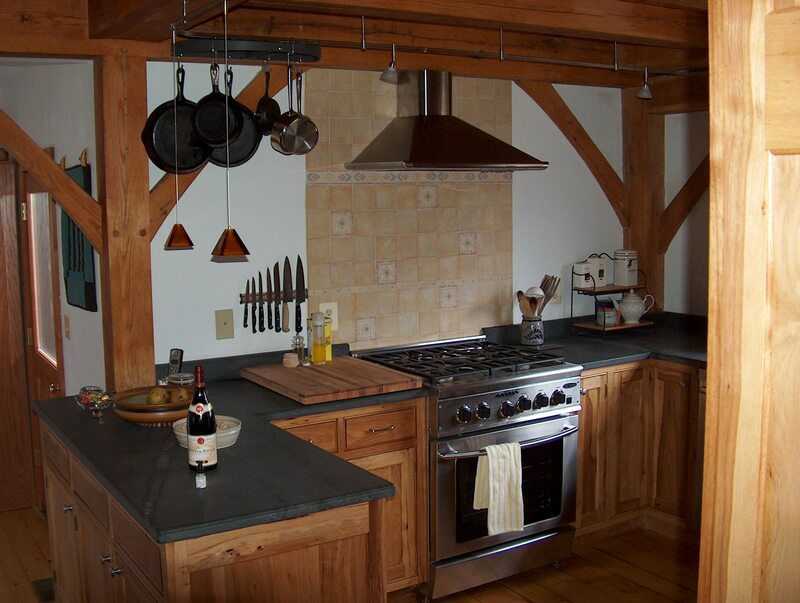 Total renovation of an 800 square foot kitchen. Added a turret. We built the turret on the ground, and set it using a crane. Patching of approximately 100 square feet of worn flooring. Since the original boards were hand made, each was tapered in width and of varying thickness. After patching, we hand scraped approximately 250 square feet of floor, including our new patches, and refinished with tung oil. 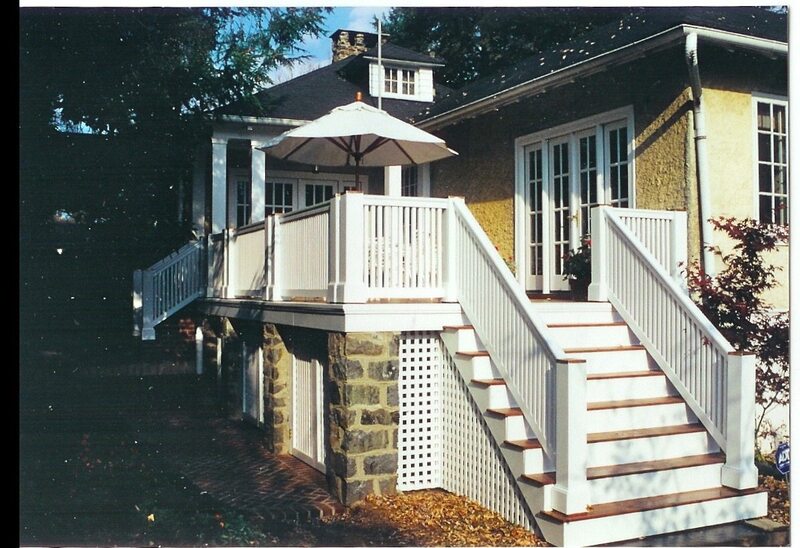 Porch project consisted of re-framing part of existing, and re-flooring entirely with mahogany; finished with boat varnish. Home was built in 1910. 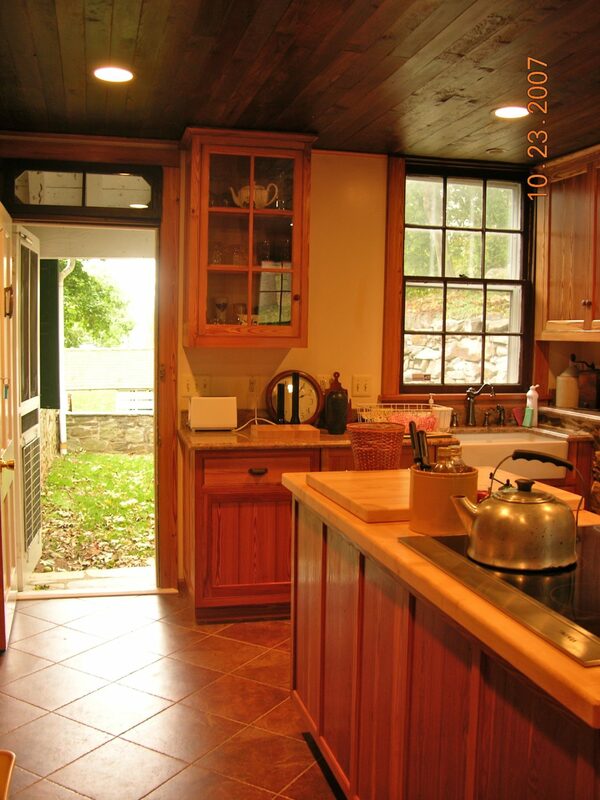 Removed an interior bathroom to make an enclosed porch larger, incorporating the bathroom space into the exterior. 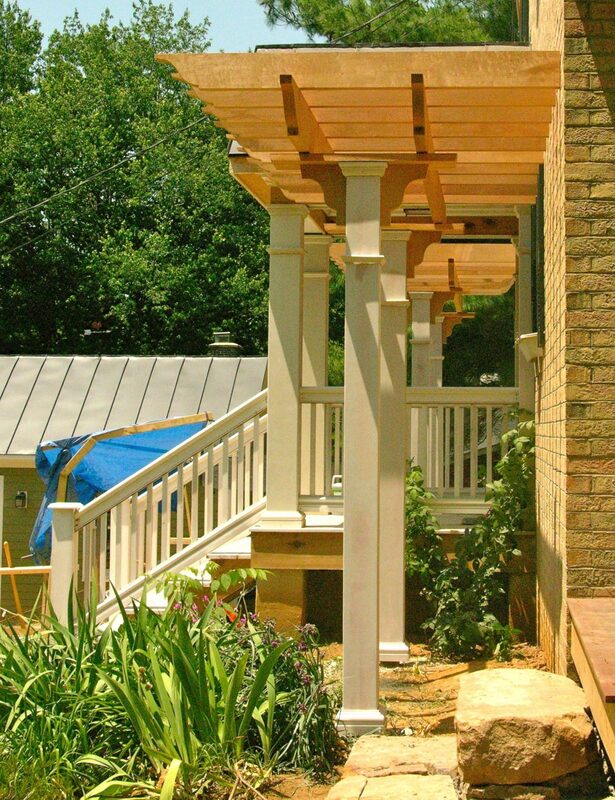 Re-creation of a porch on a historic brick home, that had been removed in the 70’s. 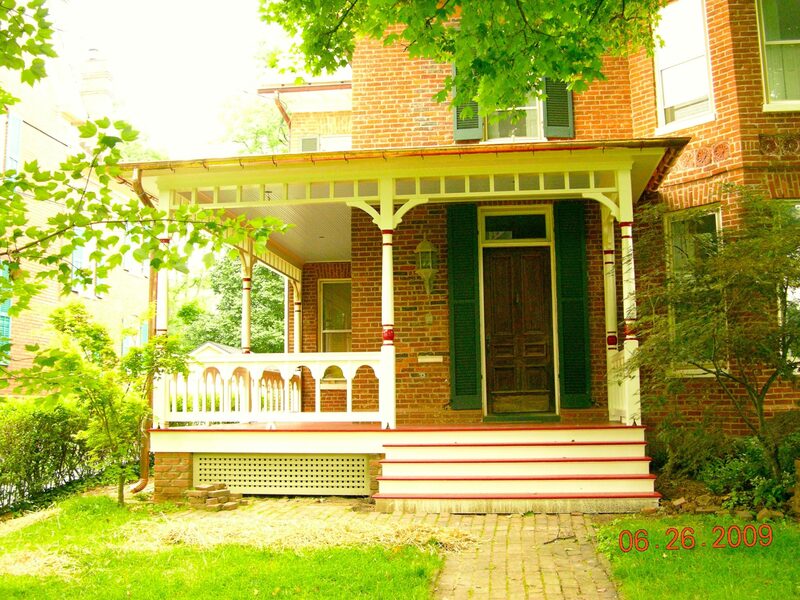 Re-built the porch using old photographs, interpreting sizing and spacing by scaling known details in the pictures. Structurally repaired and braced a 19th century corn crib. The job included pulling the frame more vertical, and then installing cross bracing that was hidden to hold it upright and secure, to preserve its long term stability. Restoration of late 1800s timber frame corn crib barn. Restoration of heavy timbers that were rotted due to grade changes around the barn caused by water flow. We re-made timber frame portions of the frame using new oak timbers to replace the old rotten hand-hewn ones. Most of the oak siding was replaced as well.